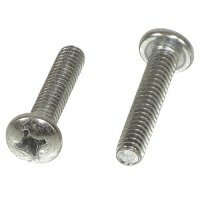 #6 - 1 Phillips pan head drill point self drilling screws (Zinc-Plated Steel) are designed for use in metal applications. 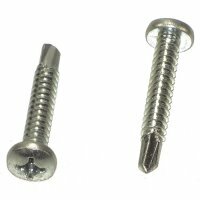 Like self tapping screws, self drilling screws cut threads while being installed. A self drilling screw, however, has a notched point that acts as a drill point and therefore does not require a pre-drilled hole before installing.